Inspector Anthony George sets out to avenge his six-year-old daughter who is kidnapped from his own backyard to be abused and murdered. In trying to find the killer, he loses everything. He is preparing to give up on life and sinking in his nightmares about little Sam as all leads turn to dust. Once an epitome of peace, Marsti town is suddenly teeming with hidden skeletons and secrets that threaten to shake the very foundation of its people. His last bid to find the killer takes him across Chennai, Bangalore and Tiruchirappalli to investigate a similar crime which had taken place fifteen years back, and for which someone is already serving a life sentence. Lost Without Her is a soul-scorching tale of a father’s trauma after losing his daughter to child sexual abuse and his bid to save several others from it. A Financial Advisor by profession, Pournima Navani is an avid reader and a Stephen King fan. Born and brought up in Mumbai, she lives with her cat, Archie. 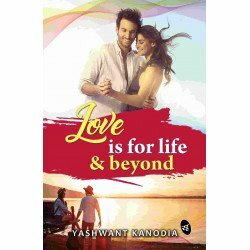 When not working or writing, she loves to spend her time reading novels, playing video games, and touring the country on her Royal Enfield motorcycle. 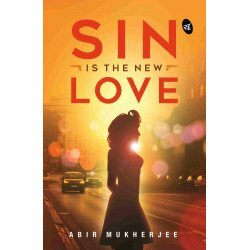 Her next is the love story of a girl who is on a killing spree and will take the readers on a thrilling, romantic, funny journey from Kerala to Ladakh. She is currently working on the biography of an investment banker and biker who fought death, physical shortcomings, and emotional trauma, to get back on his feet, and almost broke the national power lifting record. “Love is like a storm. It hits you without a warning and it affects you till your last breath.”Nikhi..
Ahi is an aspiring publisher and wishes to make it big someday. When her favourite author’s autobiog..
First Book of Horses and Ponies..